Customer with a 2003 a Pontiac Grand Am came in vibration shaking from 65-75mph, also oil light. We saw some issues, and now fixing the car the right way. 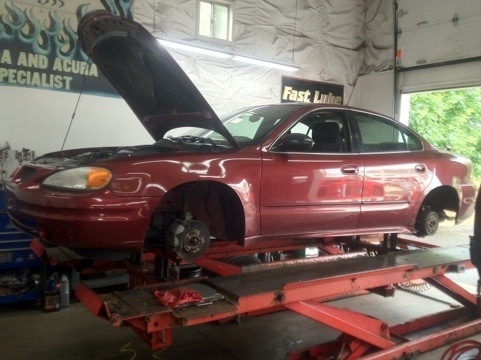 We are adding new tires, brakes, alignment, state inspection, emissions, and rear window regular.